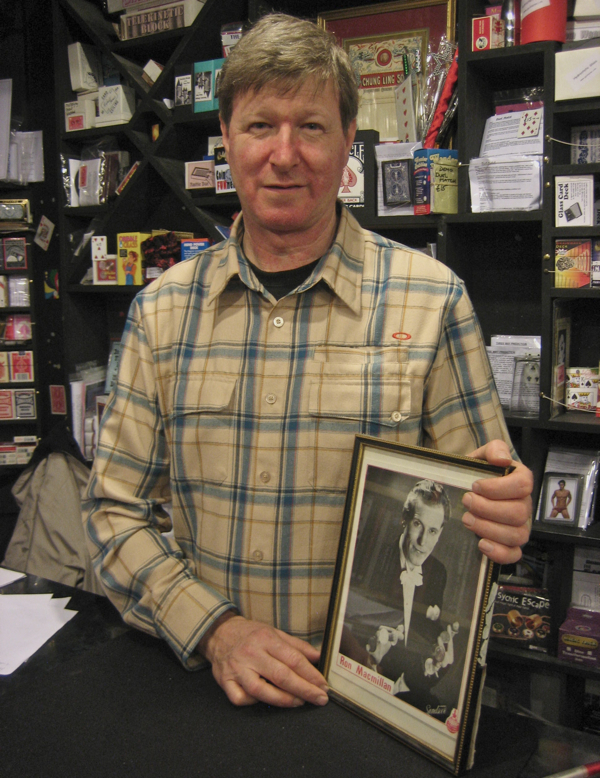 Anyone searching for prestidigitation in East London need look no further than International Magic in the Clerkenwell Rd, where Martin MacMillan presides today over the tiny shop opened by his father Ron Macmillan – a conjurer known as “The Man With The Golden Hands” – in 1961, exactly fifty years ago. Just by pressing upon the old brass door catch and stepping into the red carpeted interior, where tricks both old and new line the walls and hang from the ceiling, you can sense magic in the air, as if you have entered in the vestibule of an old theatre – which in a sense you have because, at almost any time of the week, you will find a throng gathered around the counter, where Martin and his customers amuse themselves by performing conjuring tricks for each other. International Magic is recognised as the prime destination for professional and amateur magicians, where they all come and go, learn what is new, socialise, spar and compete in a friendly way, showing off and having fun, just between themselves. You do not even need to buy anything, only arrive wide-eyed and open-hearted, bring your credulity and your innocence, and be sure to wish Martin, “Good Day!” and shake his hand, and know you will be assured of a genuine welcome and a breathtaking impromptu magic show. People always want to go behind the scenes in the theatre, they want to know what is the secret behind a magic trick, and behind International Magic lies an extraordinary story – it is a true romance. Ron MacMillan was a French Polisher from Canning Town who was also a successful footballer, and in 1950 when he was admitted to outpatients, he caught the eye of Teresa, a young nurse from rural County Mayo who was new to London and the post-war world of bomb sites and food shortages. Teresa was fascinated by the handsome young man turning coins in his fingers with such eye-catching dexterity and they went on a date together. When Ron’s diagnosis was confirmed as TB, Teresa nursed him through the operation which involved the removal of a lung and some ribs. To give Ron something to concentrate upon, Teresa bought him a book, “It’s Easier Than You Think,” by Geoffrey Buckingham. And it saved his life, because Ron was fortunate enough to recover from TB, and discovering he was a natural at conjuring, he spent his recuperation practising magic tricks and amusing the other patients – thereby giving him his future career . 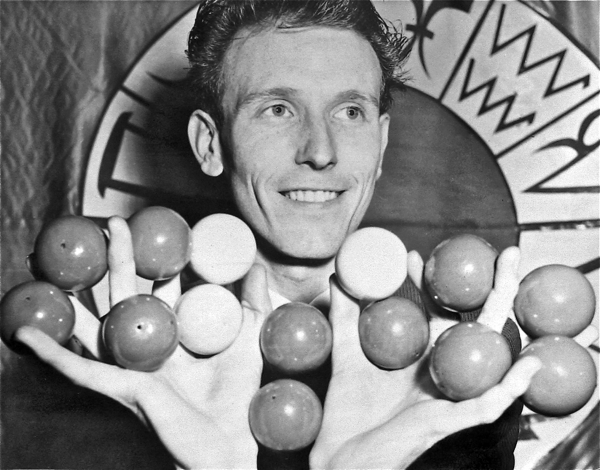 Unable to return to physical work, Ron managed to secure some employment in the docks where he entertained his fellow dockers and did magic shows on ships, - performing as “The Man With The Golden Hands” – quickly acquiring a reputation by winning competitions and playing in clubs. On one occasion, while performing in front of the Krays and Diana Dors, tossing pennies in the air and catching them behind his back, Ron dropped some into the front row where the twins were, but, understandably, although his act won approval from these hard-nosed types, he did not go to retrieve his coins. Ron’s tour-de-force was to produce sixteen billiard balls out of the air – more than any conjurer had done before or since – and while it was in greater part testimony to his extraordinary talent at legerdemain and, while I should not wish to give the game away, I think we may applaud him for making such ingenious use of the cavity in his chest that was the legacy of his illness. 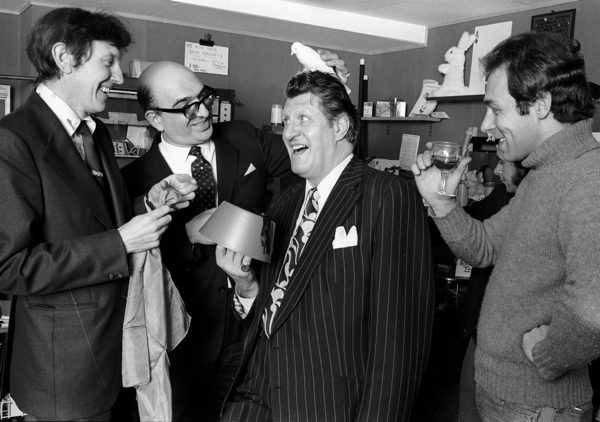 “If you are born into it and grow up with magic, then you don’t know anything else, until you meet non-magicians,” Martin revealed to me in amused reminiscence,”When you tell them that you’re a magician and everyone you know is a magician, then you realise it is special. Before that, I thought everyone had a magician for a father. As early as I can remember, I was involved in magic. I can’t put a date to it because as I was learning to read and write, I was picking up magic tricks, and at fifteen I came to work here.” Martin claims that he never performs professionally but the truth is that he performs all day. Tall and with a generous smile, he is the perfect master of ceremonies here at the epicentre of the magic world, where you can come for all your magic needs, including lectures, weekly classes and tickets for the annual International Magic convention which celebrates it fortieth anniversary this year. Let me admit to you that my grandfather was a conjurer in music hall, and it was a visit to International Magic that first brought me to Clerkenwell as a child. I cherish this shop for many reasons – because it has never been modernised, because you don’t need much money to buy a few tricks, because it displays the old tricks of dead conjurers alongside new tricks for sale, because everyone is treated as equal here, because it is all about celebrating the triumph of quick-wittedness and extraordinary talent, and because this is true culture handed down through generations solely for the authentic pleasure of idle entertainment. Listen to Teresa MacMillan’s story of International Magic by clicking here. 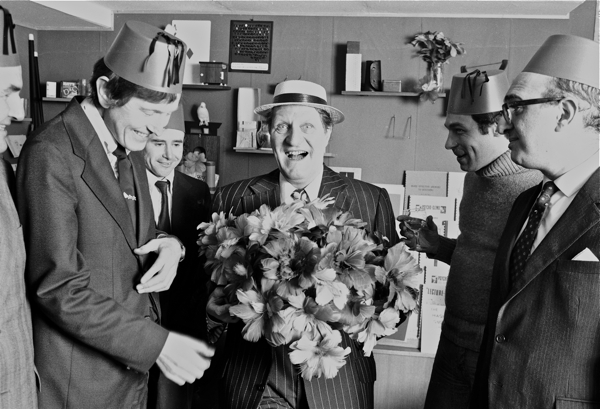 Ron Macmillan and Tommy Cooper with magicians Henk Meesters, Bobby Barnard and Graham Desmond skylarking at International Magic in the nineteen sixties. 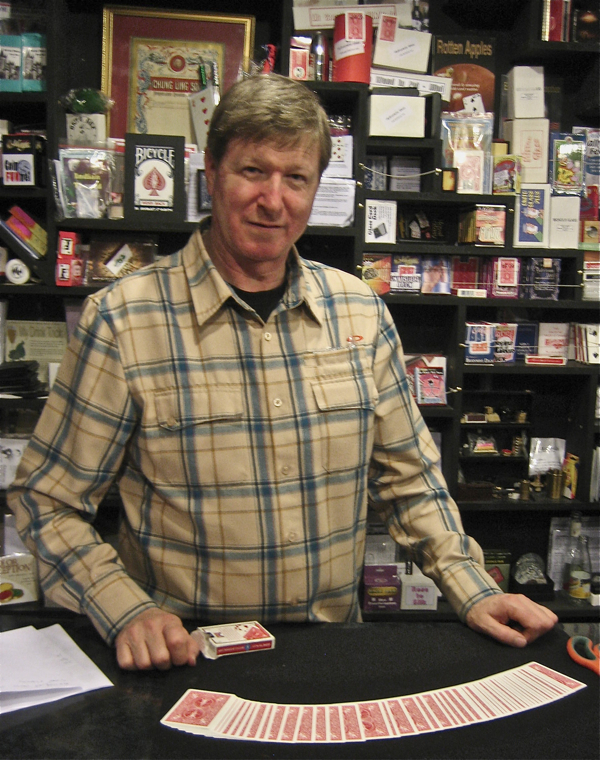 Martin MacMillan will demonstrate any trick you may wish to purchase. International Magic in the nineteen sixties. Spitalfields Life will be reporting to you from the fortieth International Magic Convention in November. Does it still have ‘fun shop’ written over the door? I hope so. I have seen Martin perform and I must say his wife does a lot of behind the scenes work for him. She is extremely dedicated to everything Martin undertakes and has a few nifty little tricks of her own that could keep a crowd enthralled. Who knows- perhaps they could start a double act? met your dad only once, but I will long remember what a gentleman he was. glad you have taken up conjuroring it is such jolly fun. 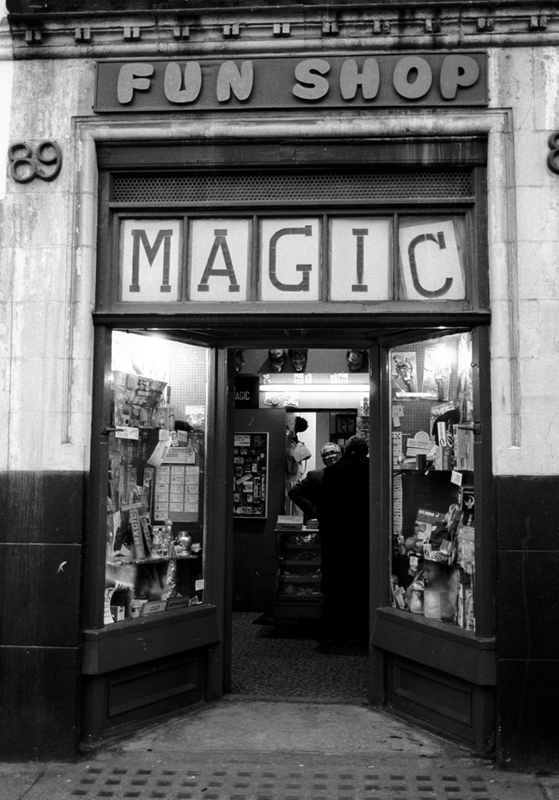 I have been to this shop in my earlier days having been interested in magic for some 50 years. The shops i used to go to were Gamages where i recall there were two identical? twins behind the counter. The shop at the end of Great Russell street (in Tottenham court road),Davenports (when it was opposite the British Museum) and Alan Alan’s shop Holborn. 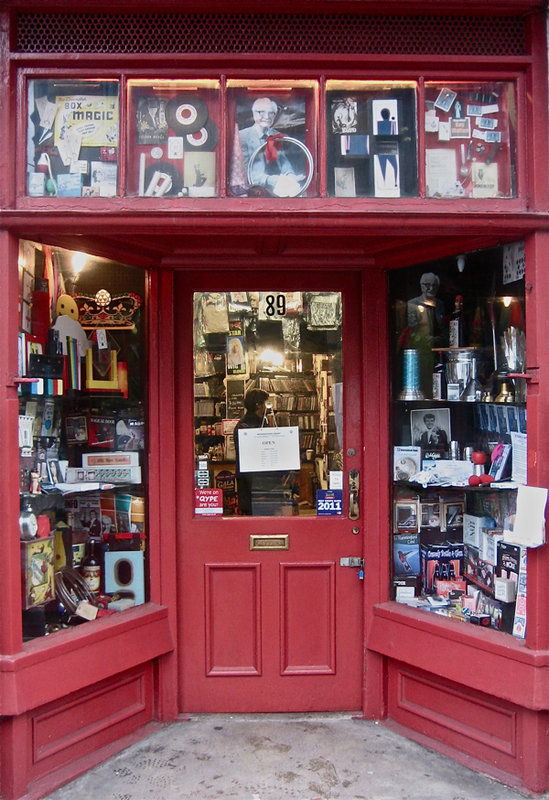 When i was in Christchurch new Zealand in a magic shop, the owner also new of these shops, having been to London himself(what a small world) The first trick i bought was the unequal ropes at Tottenham court road. Also with this the 3 bells(4). And in Gamages i purchased the Card box for 35 shillings(i think) £1.75 . Martin,in case you’re reading this .I am HarryWong from HongKong. Looking forward to see you soon at the up coming International Magic Convention. I am a big fan of Ron Macmillan and will always be. As a very young magician in the 1960′s I had the great fortune to spend most Saturdays at the shop demonstrating and helping to make goods such as Svengali decks! There were so many visitors famous in the world of magic, Harry Baron, Claude Manley Bobby Bernard etc. I also manned the International Magic stall at the Magic Circle Diamond Jubilee in 1965. Each week Ron also took time to help me with my “Dove and Card” act. In particular it was his sense of routining, timing, stance, showmanship and general production that was of incalculable value and for which I am so grateful. I did not win Young Magician of the Year, but came runner up to another of Ron’s proteges I believe, Keith Cooper. Magical times in every sense of the word.